Tuesday night’s Maricopa City Council meeting appeared to be brief on paper, but took nearly two hours to sort through confusion over the 2016 Legislative Platform. During their last meeting, the council approved the changes to the platform. The platform, which was approved by the state before being sent to city levels, changed the tax collection process for the city of Maricopa. Maricopa residents previously voted to approve a city tax increase to $4.78. However, due to limitations from the state’s new 1-percent cap, the city can only collect $3.29. The changes to the tax platform prohibit the city from collecting the extra $1.49 approved by the voters. The proposal that caused confusion among the council members came from City Manager Gregory Rose, who proposed an option that would allow residents to recast their vote to approve the extra tax revenue if a dire need ever presented itself. Councilmember Nancy Smith was concerned by the wording. She worried future council members would be able to take advantage of the proposed option. However, the issue was clarified by Mayor Christian Price. Rose will adjust the wording of the proposal and bring it back before the council at another time. The council also heard a presentation regarding the Maricopa Outdoor Recreation and Environmental Education program, which would allow residents to travel and complete outdoor excursions through a program provided the Copper Sky Multigenerational Complex, and re-authorized an annual holiday signage program that assists local business in promoting and raising awareness and economic through Jan. 8. 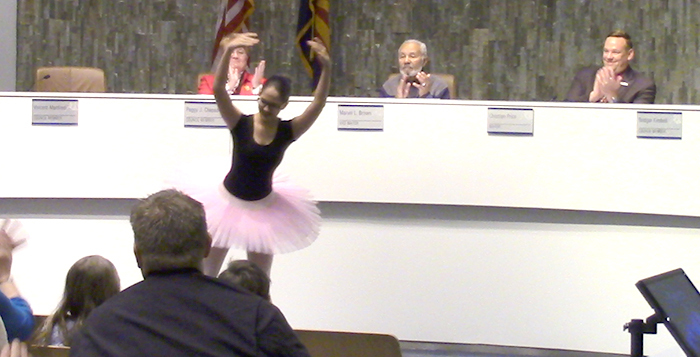 The Maricopa City Council will reconvene on Dec. 15 at 7 p.m.